SoftBank Corp. and GungHo Online Entertainment, Inc. today announced that they have entered into an agreement with Supercell Oy, a mobile game company headquartered in Finland, its shareholders and the representative of such shareholders. 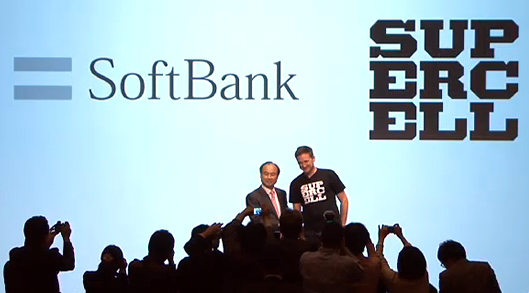 Under the agreement, a special purpose company jointly established by SoftBank and GungHo in Finland will invest a total of USD 1.53 billion (approximately JPY 151.5 billion) in Supercell, and will hold 51% of Supercell’s outstanding voting stock. Following the Transaction, Supercell will continue to operate independently while leveraging SoftBank’s strategic resources, and will also become a subsidiary of SoftBank. This new partnership also takes our collaboration with our good friends at GungHo to the next level. We are super excited to have them participate in this investment by putting in 20% of the total amount. We’ve had a great collaboration between Puzzle & Dragons and Clash of Clans. They’re an amazing bunch of people, and they have a terrific culture. Through them we’ve come to learn that the Japanese and Finnish cultures are pretty similar on many levels.